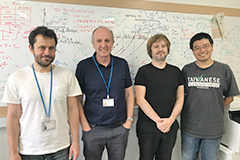 Our team is working on the quantum theory of condensed matter with a focus on spin and phase coherent phenomena in semiconducting and magnetic nanostructures. 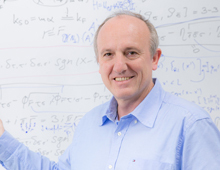 In particular, the team investigates the fundamental principles of quantum information processing in the solid state with a focus on spin qubits in quantum dots, superconducting qubits, and topological quantum states such as Majorana fermions and parafermions. This involves the study of decoherence in many-body systems and scalable quantum computing technologies based on surface codes and long-distance entanglement schemes. We also study nuclear spin phases, many-body effects in low-dimensional systems, quantum Hall effect, topological matter, spin orbit interaction, and quantum transport of magnetization. Even though the most of the recent studies of topological matter were focused on static structures, it has been recently proposed to extend the investigations to non-equilibrium systems. We circumvent the difficulty of analysis of a two-dimensional system with electron-electron interactions by considering a strongly anisotropic 2D system formed by weakly coupled Rashba wires (see the figure), where each of them can be treated as a one-dimensional Luttinger liquid by bosonization. This allowed us to introduce the Floquet version not only of topological insulators but also of Weyl semimetals in driven 2D systems. Importantly, in this way we can also address fractional regimes and are able to obtain the Floquet version of fractional TIs and Weyl semimetals. 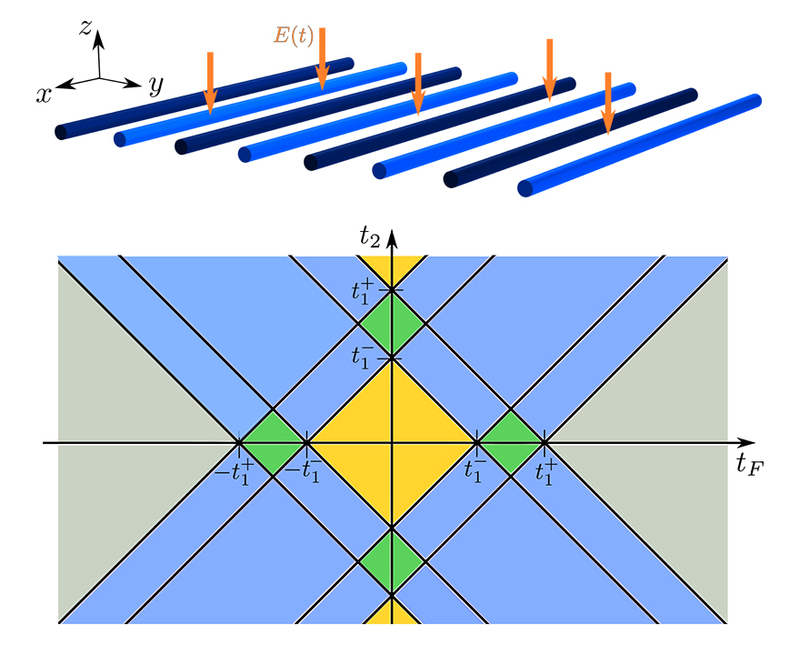 Upper panel: An array of quantum wires under a time dependent driving realizing the Floquet topological insulator. Lower panel: The phase diagram of the model shown in the upper panel as a function of the Floquet coupling tF and the tunneling amplitude t2. Copyright © RIKEN Center for Emergent Matter Science. All Rights Reserved.